With the children’s classic Paddington having done stellar business with two hugely successful films it’s now the turn of Peter Rabbit. That quiet archetypal English children’s book is now a raucous film and who better to voice Peter Rabbit, well frankly anyone, but here it’s James Cordon with his chirpy estuary English /mockney accent. It’s all a bit of a shock. Since going to the States Corden has become a huge star and regrettably Britain’s loss is America’s loss also. Directed and co written by American Will Gluck who also wrote the recent flop version of ‘Annie’, the signs are not good for what turns out to be an update of the classic Beatrix Potter stories reinforced from the start when Peter Rabbit utters the wholly un-English phrase ‘Let’s do this!’ as they embark on a raid on a vegetable garden. What follows is an action set piece which was a main stay of the book with Peter Rabbit grabbing Old Mr McGregor’s plums (Stop it! – Ed). It’s Sam Neill (‘Sweet Country‘) who, all bushy bearded, plays the Scottish gardener whose accent makes frequent foray’s over to Ireland too. So it’s a jolt when he dies on screen. If anything it’s a definite out with the old and in with the new moment because from here on it’s Peter Rabbit: The Next Generation. Peter is joined by his siblings and a cousin as his parents have presumably ended up in a pie or been struck down by myxomatosis. Replacing Old Mr McGregor is young Mr McGregor, a stick thin Domhnall Gleeson (‘American Made‘), an uptight OCD obsessed manager at Harrods in the most blatant bit of product placement we’ve ever seen for a shop. Having inherited the house and its huge vegetable garden his intention is to sell it and open his own toy shop opposite Harrods in a misplaced bid to bring about the superstores downfall having been unceremoniously fired by them. Arriving at the country house he finds it in utter disarray as Peter and his friends have ultimately turned it into a college frat house for animals. 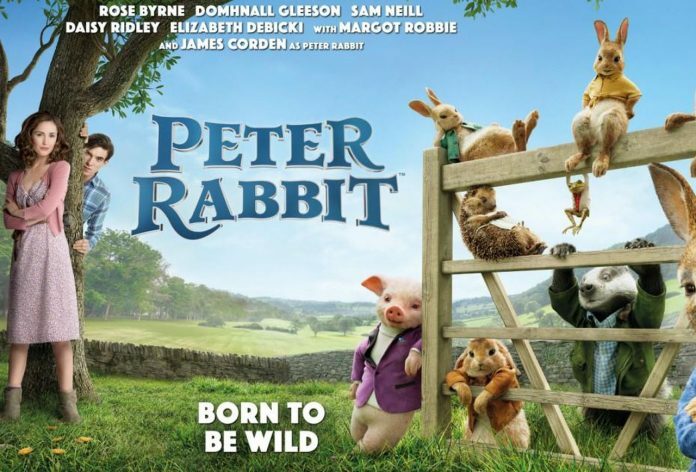 The mainstay of the film from hereon is a battle of wills between Peter Rabbit and Mr McGregor and is complicated by Bea (Rose Byrne – who’s quickly becoming the Australian version of Anna Kendrick). 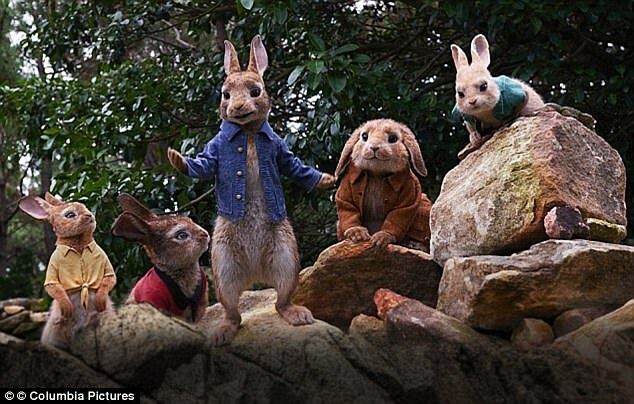 It’s presumably a nod to Beatrix Potter that her character is so named and quite what she would make of the film is anyone’s guess but surprisingly this is the first film that has been endorsed by the author’s estate something which Disney had attempted to do for many years but to no avail. 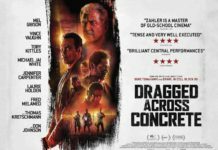 A love story develops between the human leads with Bea’s affection for Peter in conflict with McGregor’s commitment to eradicating the rabbit. The trailer for Peter Rabbit had many aghast at what had been done to the children’s quaintly English classic but once the initial shock of the rabbit reboot is over it does quickly win you over. The animation is superb with the animated talking rabbits and other animals blending in seamlessly with the real life locations and the script has enough jokes to raise more than a smile amongst both children and adults alike. 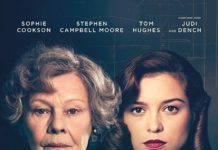 As Margot Robbie’s narrator says,’It’s not that kind of storybook’ and the film does lack the whimsy of the books and Peter Rabbit here is nowhere near as endearing as Paddington. Maybe because the book is very much of its time that it needed to be updated for a modern audience as the film is full of set pieces with Peter pursued by McGregor but ultimately this is definitely not the monstrosity that many predicted. Children will love it and it’s engaging enough for adults to enjoy too.